At London Driving Schools Mitcham area, your learning journey starts by practicing on roads that seem easier for you to drive on. This builds up confidence, because the road have light traffic and are basically star. This practice is very helpful to boost your confidence and also improve your grip over steering and car controls. Instructors of Driving Schools Mitcham suggest Victoria Road. The practice of left and right turns, reversing, pedestrian crossings, clutch control, speed controls and approaching junctions is done on different roads of Mitcham. Trainers of Driving School Mitcham train every learner according to his/her capability so that every learner can learn effectively. Here are some great Driving Test Tips for learner drivers in Mitcham. Mitcham is located in between Colliers Wood and Norbury and to the south of Tooting and to the north of Carshalton. With our driving instructors in Mitcham you do not need to worry about your driving test, we will make you sure you are fully practiced and experienced on all the roads that your test will be taken on, ensuring you know them thoroughly and have sampled the different hazards and obstacles that you may face on the day of your test. Our friendly driving instructors can provide the right advice and information to students who are confused or unsure on selecting the right driving course for them. More than 90% students at London Driving Schools Mitcham pass their driving test in first attempt which is the proof of our ability and the quality of our tuition during our driving lessons in Mitcham. Friendly instructors and supportive learning environment. Thorough practice of driving lessons in Mitcham. Taste of all type of road conditions during learning. Early Driving Test Date Bookings in Mitcham. Don´t wait to enjoy the freedom of driving. 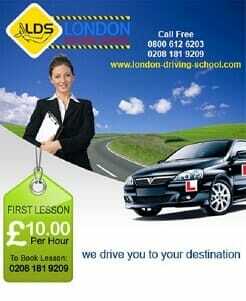 Join London Driving Schools in Mitcham CR4 for quality driving learning within your budget. LDS Intensive Driving Courses enable you to pass your driving test in just 2 weeks time whilst ensuring you are fully confident in your abilities on the road. Motorway Driving Courses for those wanting to gain extra confidence in their motorway driving abilities. Pass Plus Driving Courses, to give you extra confidence once you have passed your driving test, along with substantial insurance discounts. 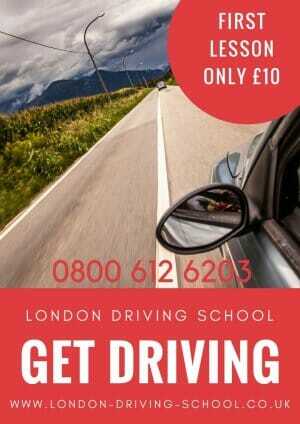 Click here to find out more about the driving courses in Mitcham we offer. Have you recently failed your driving test in Mitcham and need to arrange another test quickly? 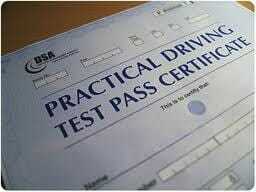 LDS can arrange your emergency driving test and provide you with a vehicle in Mitcham in under 10 days. We have access to late cancellations and short notice driving test bookings in Mitcham. We can also provide you with an emergency driving test vehicle. If you need a vehicle in Mitcham to take your driving test in at short notice give us a call. See our Top Driving Test Tips in Mitcham. See our testimonials and reviews to find out why you should be joining London Driving School in Mitcham.